When the Royal Navy disbanded coastal forces in 1956 HMS Hornet was closed and was left to deteriorate. As the area was unsecured some establishments on the Gosport side of the harbour, and several local naval personnel, with the tacit approval of the Queen's Harbour Master, began keeping their yachts at Hornet; by 1962 the ex-German yachts, Merlin, Sehexe and Suna were moored there with about a dozen private yachts. There were several keen yachtsmen serving on the staff of the Flag Officer Naval Air Command at Lee-on-the-Solent at this time, and a proposal was made to the Commander-in-Chief Portsmouth that a Naval Yacht Club be formed for serving and retired naval personnel. Approval was given but the club got off to a slow start through lack of funds. They badly needed a bosun but there was no money to pay for one. 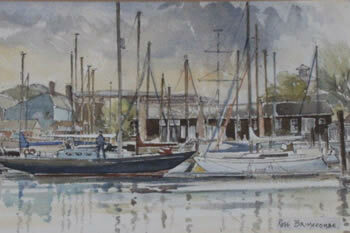 The berthing fees were set at £20.00 per annum. 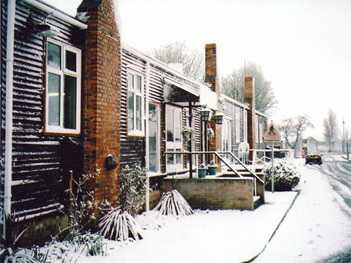 The facilities were almost non existent, but the old Hornet quartermaster's hut, the slip and workshops still remained – one with its engine lift gantry which was to prove ideal for lifting masts.Several bosuns came and went, but it was not until Jack Standen retired from the Navy and took up the job that steady progress was made. He had been the Chief Bosun permanently attached to the yacht Merlin, so he knew the environment. A clubhouse was established in the old wardroom, and the Captain's House was made into a flat for a barman and his wife. Some cabins were turned into lay-apart stores. In May 1964, the club was formally opened by Admiral Sir Wilfred Woods, the Commander-in-Chief Portsmouth. Not surprisingly a flood of applications for berths rolled in and it became necessary to establish ground rules for the embryo marina. With the limited space available, motor yachts were excluded, and membership was limited to RNSA members. This was later amended to RNSA members of at least two years standing, to stop anyone joining RNSA solely to get a Hornet berth! 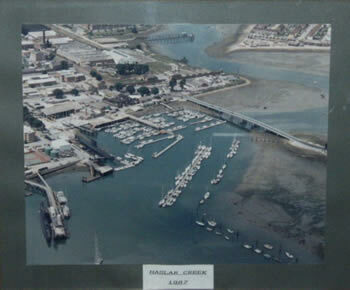 By 1970 there were about 120 yachts berthed in Hornet - most of them in the marina but also some across the creek on head and stern piles. In 1972, with the shrinking facilities for Servicemen overseas, the Ministry of Defence decided that the three Services would each run an adventurous training facility in the UK. The Navy became responsible for adventurous sail training and the Joint Services Sailing Centre (JSSC) was born and moved into Hornet. The new Officer-in-Charge was a serving Commander. The Commander-in-Chief Naval Home Command was responsible for setting up the Centre and declared that, apart from the Service yachts belonging to the JSSC, the private berths should be shared between the three Services. As a result, eight regimental yachts, four RAF yachts and a number of local naval establishment yachts joined a growing community. The C-in-C's Chief Staff Officer (Administration) (CSO(A)), Captain Geoffrey Thatcher, was appointed Chairman of Hornet Sailing Club with the Officer-in-Charge, JSSC, as his Vice Chairman. In time, JSSC and HSC settled down together. The Ministry of Defence supplied nine Nicholson 55's, nine Contessa 32's and nine Halcyon 27's. 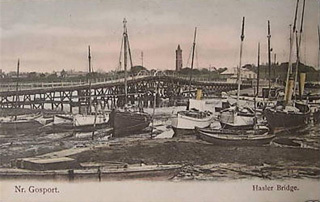 These were all berthed in a splendidly restored area in Hornet with new piles and new pontoons.Thanks to the Officer-in-Charge's efforts, the remaining old wooden piers were removed and Hornet formed into two large basins, one each side of the concrete central pier.Direct rule of HSC by the Commander-in-Chief became a problem as succeeding CSO(A)s were either not sailing men or were too busy. The job was at first passed to a Commander on C-in-C's Staff and subsequently it was agreed that the Chairman could be any suitable serving Captain. The first of these was the Captain of HMS Sultan, Captain (later Rear Admiral) Charles Williams, who is still a Full Member and Trustee of the club. Responsibility for the club was passed from C-in-C to Flag Officer Portsmouth (FOP) who was required to have an officer on the club committee. Chairmen were appointed by FOP – some were serving, some retired – until Area Flag Officers were abolished in 1995 and the Flag Officer Training and Recruiting (FOTR) took over the role as the club's Admiral. Subsequent Chairmen (later Commodores) were appointed by FOTR until the demise of the post. The Commodore is now voted by Club members at a General Meeting and appointed by the Club Admiral. In the 1980's pontoons were a major headache for the club until a steady replacement plan of Walcon pontoons enabled the final dockyard rejects to be thrown out in 1990. As Hornet developed the club buildings were cleaned up, the lay-apart stores were pulled down, and the old Wardroom was demolished. The Captain's House continued as the barman's quarters until the position of House Manager was established and the quarters were turned into offices and lay-apart stores. The first House Manager, Terry Nash, a retired submariner, started the transformation of the club. Having been a JSSC skipper, he brought the support of the JSSC with him, and his enthusiasm, vision and hard work enabled the club to flourish. Jack Standen was joined by Alan Woodage in 1986 and, on Jack's retirement in 1988, Alan became the Marina Manager carrying on alone until Stewart Peters joined as his deputy later that year. Stewart Peters subsequently became the Marina Manager. 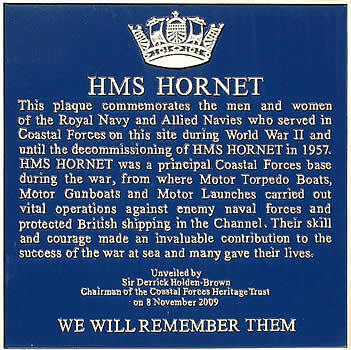 In 1993 Flag Officer Portsmouth agreed that, in order to bring Hornet into line with other Sailing and Yacht Clubs, the committee should be led by a 'Commodore' rather than a 'Chairman'. This was approved, and Captain John Parry became the first Commodore of Hornet Sailing Club. A major change to the way the club operated was the purchase of the Wise hoist in 1996. Almost as soon as the committee of the day had made its decision to go ahead with this very expensive acquisition, the MOD banned vehicles from using the concrete jetty on safety grounds, and the old method of lifting boats by crane had to be abandoned. The hoist has provided Hornet with a flexible and profitable means of lifting boats throughout the year. Hornet Sailing Club continued to thrive. One of the mast sheds was completely refurbished, new lay-apart stores were built in the old workshop area and a section of the clubhouse was renovated to create a large meeting/function room known as the “Fabrosa Room” - the work being masterminded by Captain Frank Craig and named after his yacht. Over 200 yachts were berthed on club pontoons - the largest concentration of RNSA yachts in the world. Over the years many and various improvements have been made to the facilities by club members. Prime among these being Constructor Commander Terry Eagles who died suddenly in 2015 and after whom I pontoon was re-named in recognition of the years of voluntary work Terry put in developing and maintaining the marina. During 2011 it became apparent that there was a growing threat to the Club’s future tenure of the site. The then Commodore, Commodore Peter Melson CVO CBE, instigated a major defence of the Club and its utility to the Services as a centre for off-shore sailing and the provision of affordable berthing for serving and retired off-shore sailors. As a result of the work by Commodore Peter and others, the Royal Navy indicated that it wished to retain the site for Service use and acknowledged the part that the Club played in supporting Servicemen and their families. Following this decision the Defence Infrastructure Organisation was directed to renew the Club’s lease of the spare capacity of the site for an extended period. 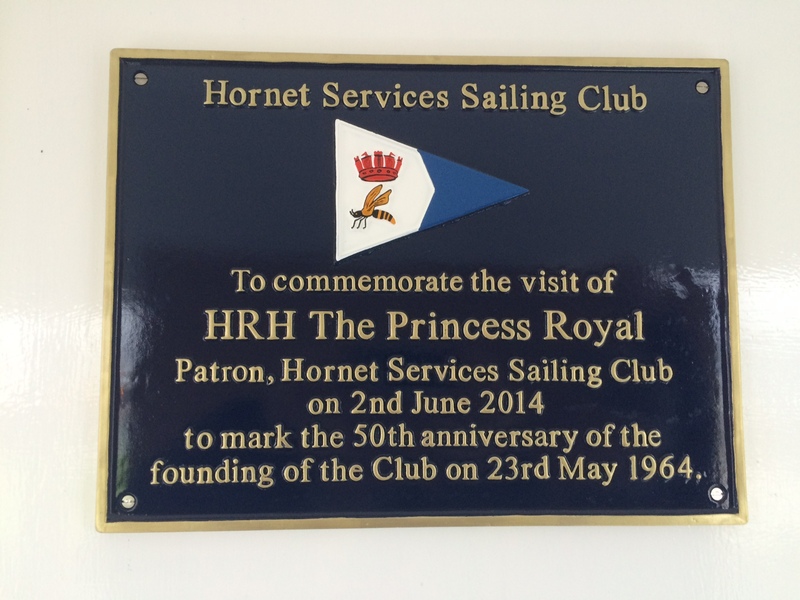 In April 2013, in recognition of the increasing part the Club was now playing in support of service off-shore sailing, a decisive vote was made by members at the AGM, to amend the name of the club to Hornet Services Sailing Club (HSSC). This reflected amendments to the Club’s Constitution that opened up membership to personnel from all three of the Armed Forces, their veterans and families. 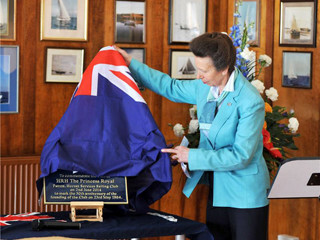 Following that, in May 2014 the Club celebrated the 50th anniversary of its founding, marked by the acceptance by HRH The Princess Royal to be the Club’s Royal Patron, and a visit by her in June 2014 during which she announced that the Club has been granted the privilege of wearing the undefaced Blue Ensign. Hornet already provided galley and bar facilities to many thousands of the Service men and women, using JSASTC and Service yachts, every year. Together with RNSA and the Army Offshore Sailing Centre they now form the Services Offshore Sailing Centre (SOSC), the purpose of which is to support and promote sailing in the three services. HSSC and the other three component organisations is each a crucial and interdependent pillar of the SOSC and each is represented on HSSC’s Full Committee. Partly as a result of the Club’s new Tri-Service nature, and also of its re-orientation towards support of serving personnel, the Club was granted a new 25 year lease in March 2015, with a right to renew for a further 25 years on completion. The new lease greatly increased the area available to the Club encompassing, as it does, the whole of the area “over the road” as far as the Quinetic boundary, enabling lay-up ashore of up to 200 yachts. A new Roodberg transporter system, compatible cradles and new tractors were also purchased using reserves saved against the day when the Club might have to buy the land. The increased size of the real estate, responsibilities and activities undertaken by the Club necessitated a change in the manner in which the Club was managed and, as a result, a full-time salaried secretary was appointed in 2014 to oversee the operation of all aspects of the Club’s business. The Club so presciently founded by a few keen Naval Officers in 1964 is thus safe in its present location until at least 2064 and will continue to support sailing in the Armed Forces of the Crown and amongst their dependents and veterans.